Harish joined CDS and Dental Specialists of Cincinnati in 2006 after receiving his Certificate in Endodontics from the New York University College of Dentistry. 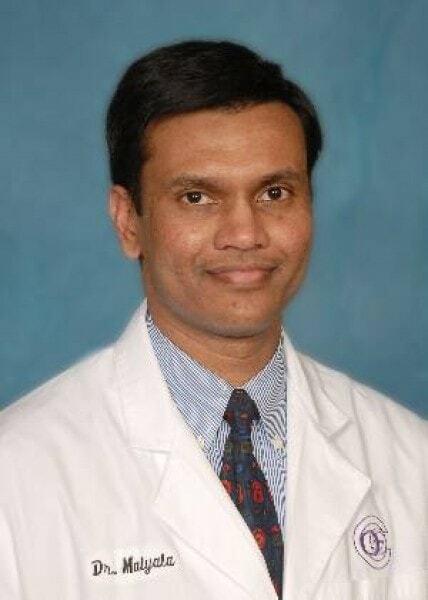 Dr. Malyala also received his Doctor of Dental Surgery Degree from NYU in 2003. Following dental school he completed an internship and general practice residency at St. Francis Hospital in Hartford, Connecticut. While at St. Francis, he was awarded the "Resident of the Year" award. Dr. Malyala is a native of Kollapur, India where he graduated from Ghandi Memorial High School. He received his undergraduate degree from Sri Sarvodaya College in Nellore, India in 1991. Prior to coming to the United States, Dr. Malyala completed an internship at Ame's Dental College at Galburga University in India and practiced for two years at Mahaveer Dental Hospital. Dr. Malyala is a member of the American Association of Endodontists and the O.K.I. Dental Study Club. He is married, and in his spare time he enjoys watching science and history programs.